? ?IF YOU BUY THIS BUNDLE YOU WILL GET 300+ Vector Icons as bonus?? You won’t need Photoshop or another extra software to edit this presentation, only Microsoft Powerpoint. 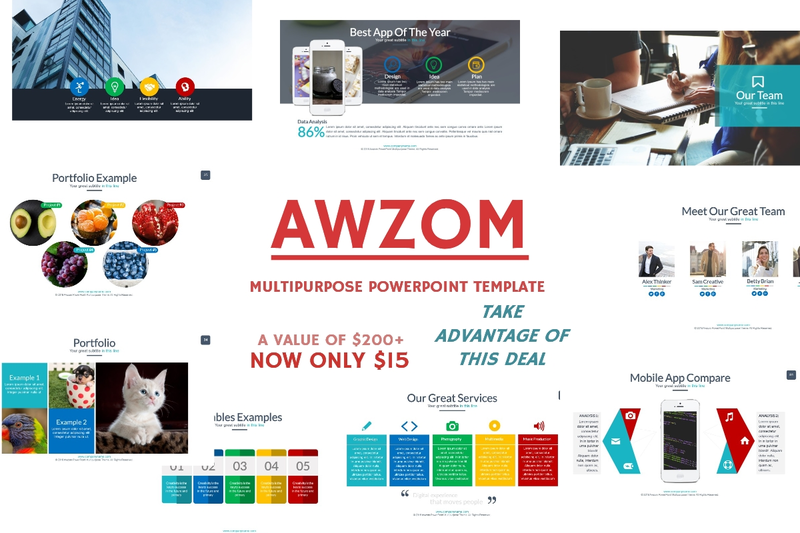 Every template of this Awesome-Pack is based in Master Slides so you can change color and font directly from the master slide and save a lot of time. This presentation includes tons of Icons as shapes (you don't need to install any messy icon font) you can change color and size directly in Powerpoint.